There have been no updates because basically I’ve done very little to the Midget that is note worthy. So in one post I’ll cover the whole of 2018 starting with the interior. Many years ago I found an abandoned black leather sofa near my home so I decided to salvage it for materials. After years of sitting in a bag I finally had a use for some of the leather. 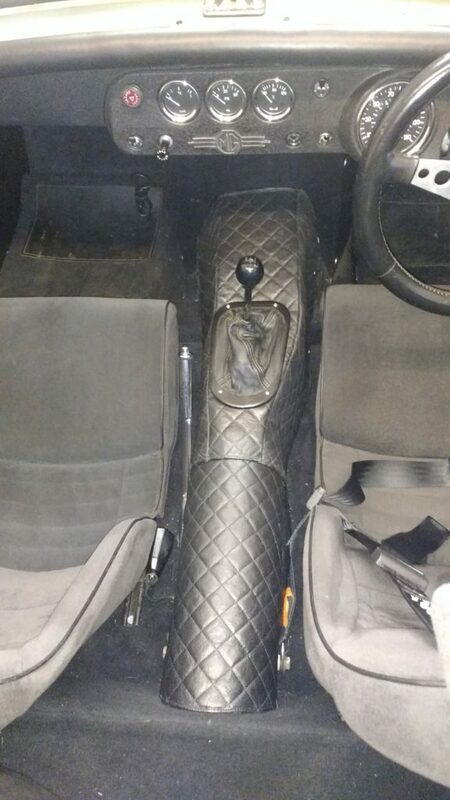 I give you a set of quilted transmission covers. Transmission tunnel covers made from a recycled leather sofa. Attention has now turned to the seats and this is very much a work in progress item. 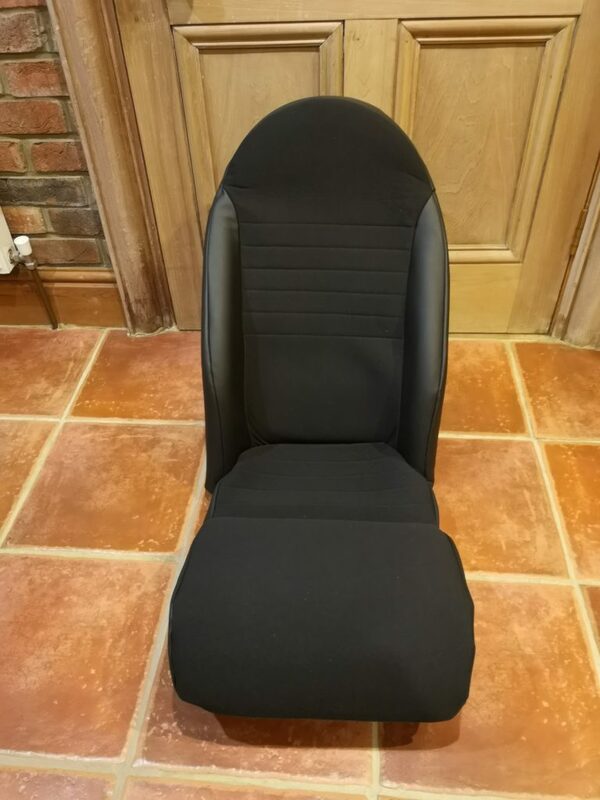 The Caterham seats I fitted a couple of years ago are showing their age and are sagging. They now offer little support and look awful so I’ve started to revitalise one. The tube foam on the frame as been replaced and additional foam sheet added. The first unfinished attempt is below. Work in progress cover for a Caterham seat.